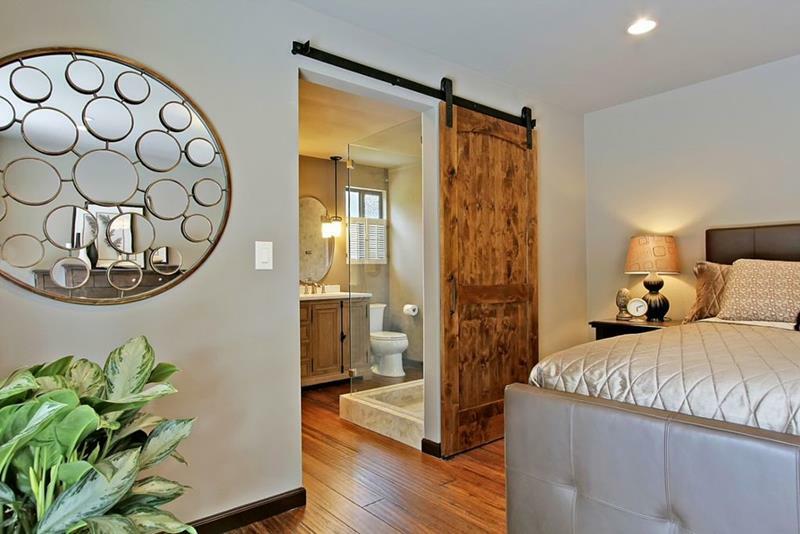 The farmhouse door leading to the en-suite bathroom can be a smart choice in a smaller master bedroom. 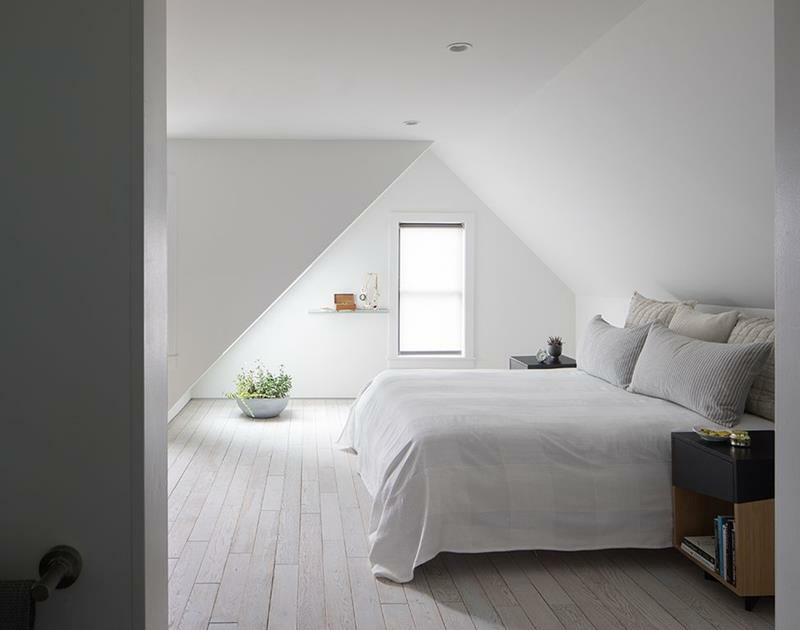 If you’ve got a lot of white going on in your master bedroom, splashes of brown can really add some dimension. You’ve got to love the popping hardwood floors in this master bedroom, as they totally define the space. Those who are looking for a serene feel in their master bedroom will find a lot to love in this example. Those how have a yen for contemporary design will find much and more to steal in this exquisite design.